Monster has signed a deal with Adidas to produce a range of headphones based on the sportswear giant's Originals line. The partnership was announced at the Consumer Electronics Show, which ends tomorrow. Few details about the headphones that will eventually make it to market were announced at the event. Monster said that they would come in both over-ear and in-ear varieties, but it did not reveal any technical details. “We chose to partner with Noel, the Head Monster, because of his innovation and audio expertise to design the best headphones in the world," said, Jochen Denninger, vice president of licensing and marketing cooperation at adidas. The will become available in February, however, there is no word on pricing yet. 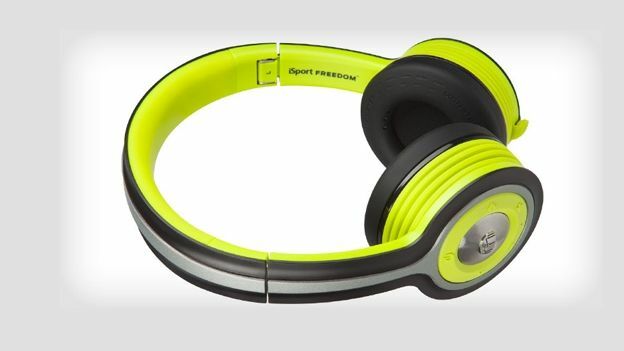 Another product that was unveiled at the show was the 24K Headphones. The headphones are the result of a collaboration with rapper Meek Mills. According to Monster, the headphone's golden design is to “exemplify the user's taste in great sounding music — leaving no experience unrealised”. They feature a '24K' tuned version of Monster's Pure Monster Sound audio technology. According to Monster, the tweaks mean users will get “crystal clear audio perfection” with unmatched clarity and depth. The 24K Headphones have a price tag of $320 (around £195). UK launch details and pricing have not yet been announced. Monster also had a range of other announcements. They included the Superstar – a high quality Bluetooth speaker which Monster claims is the smallest in the world –and its DNA Pro wireless headphones. It also unveiled a “business black” version of its iSports Freedom range and the Go-DJ – a pocket sized turntable and mixer.